First off, Happy 2013! Wishing all of my fabulous readers the best year yet! Now. The Randomness. 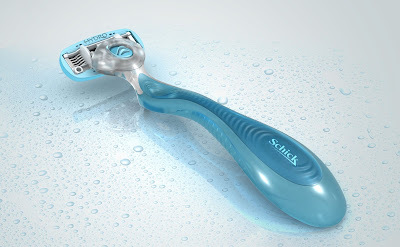 We have to talk....about this Schick Hydro Silk razor. I have absolutely fallen head over heels in love with it. I never imagined I'd be doing a post on this, but I seriously could not stop thinking about it--forreal--so I had to share with my bosom beauties--you! You may remember this post where I lauded a new product I'd discovered, which I still use every day...well, this razor is another holy grail grooming product! For me, it literally replaces creams and waxing. And when I say waxing, I speak of waxing everythang. Except the hair on my face, teehee. 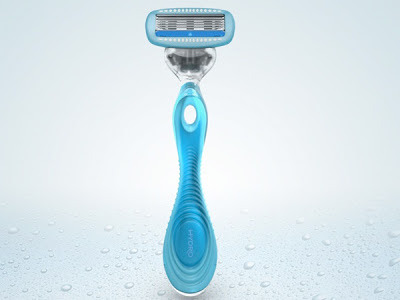 I received this lil' shaver in a Birchbox last year, and I owe it to you guys to put you on if you don't already know. 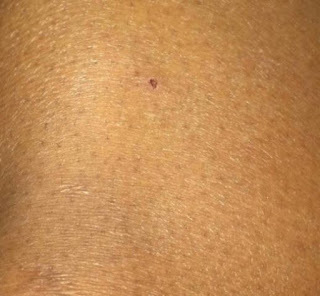 I use razors quite a bit for my legs and underarms, but haven't been too keen on using them in my bikini area, where I usually opt for a hair removal cream. Creams always seem to give me a smoother finish, but they can be pretty harmful if they creep into the wrong crevice or you leave on too long. I have a story about this that I'll spare you, lol. Not to mention they contain crazy chemicals like the lye found in hair relaxers. Eek. 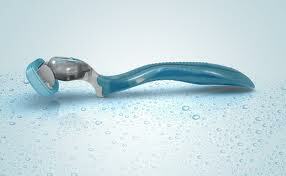 This razor is also AWESOME when it comes to nicks and cuts. I've gotten some pretty bad gashes in the past, especially when doing one of my rush shaving jobs, but I haven't gotten more than a mere nick using this. 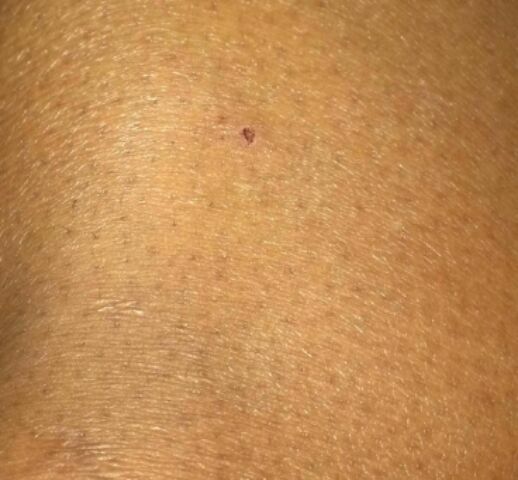 See Exhibit A (and that's a recent shaving prick situated right below my knee). At the expense of sounding like an infomercial--and I am certainly not being paid for this post--I encourage you to pick this up next time you're out and about--and most definitely if you're looking for a razor that will hydrate all ya lady parts, OKAAAAY. And it's weird, but I feel like this razor keeps hair at bay at least a little bit longer than other shaving methods/tools I've used in the past, and it feels like the hair grows back softer. Try it and see for yourself. Happy Hydro-packin' and Happy New Year!